Rough Google translation. More to follow soon. “Portal-Credo.Ru”: 90 years in Constantinople, Russian bishops were organized overseas Higher Church Administration, which effectively marked the beginning of the existence of ROCA. How can we evaluate this event in the context of the history of the Orthodox Church? Metropolitan Valentine: God’s ways are inscrutable and His destiny unexplored. At the same time around we see His divine guidance. The Lord Himself said: “Without Me you can not tvoriti nichesozhe” and gave the promise that the gates of hell shall not prevail against His Church. The Lord has not indicated what kind of Churches will stand in his truth against the forces of hell to the end of the historical existence of the modern world, before their entry into a new heaven and new earth, did not say where and in what place that happens. Event on Nov. 19, 1920, to put it in modern terms, a landmark event. The organization of the Orthodox Center (PSCA Abroad), which comprised representatives not only clergy but also of different classes of Russian society then thrown revolution abroad, raising concerns that time the atheist regime, its pressure on Patriarch Tikhon, on this occasion was unprecedented. And although later PSCA has been dissolved, the Holy Confessor Russian land before it had time to take a very wise decision. He issued the famous historical document that gives legal status to follow canonical order as the ROCOR and the Catacomb Church in the captive within the militant atheism of their historical homeland. The document entitled as follows: “Resolution of the Patriarch, the Holy Synod and the Supreme Church Council from 7 / 20 November 1920, № 362”. As an eyewitness of the events testified to His Grace Bishop Gregory (Grabbe), in Constantinople was to happen and the first Council of the ROCOR, to which permission was obtained of the Ecumenical Patriarch. 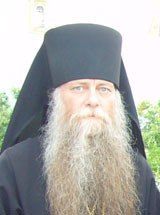 But there have been changes in the plan view of the fact that the senior bishop by consecration, who headed the Council of Russian bishops, Metropolitan Anthony (Khrapovitsky), received an invitation to the then primate of the Serbian Orthodox Church Patriarch Barnabas to settle down in Yugoslavia. The invitation was accepted, and the Russian colony moved in Sremska Karlovci. In November 1921goda there occurred the first Diaspora Church Council. 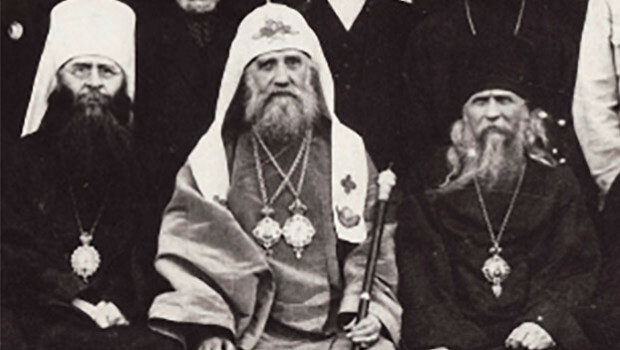 Subsequently, work and labor hierarchs of the Russian Orthodox Church, its clergy, representatives of the White movement, the Russian intelligentsia and ordinary Russian people contributed to the fact that non-Orthodox world saw firsthand Russian Orthodoxy and Russian piety, which became the guardian of the Divine preservation of the dogmatic teachings of the Church in the purity of the patristic tradition. This ROCA resisted spiritual onslaught on Orthodoxy by non-Orthodox world has already started in his environment modernism and advancing time series of ecumenism. And this momentum will benefit the both the outer and the inner side of church life. In connection with the change of generations of Orthodox people born outside their historic homeland, it became more and clerics with the old pre-revolutionary experience less and less. At the same time in the Russian diaspora around the world is changing rapidly, and much in it that seemed unacceptable, unthinkable, confidently takes its place, changing not only the map of the world, but also national and political foundations of the social life of a country. Simultaneously, the new generation of children of the ROCOR did not lose their spiritual threads and his love for the orthodox past, and, overcoming all sorts of spiritual and material obstacles, made him his present, buying at the same time, and their practical experience, which in 1920-30-ies lacked their fathers and grandfathers. They are little heard of joyful enslaved atheism of Russia, but information about the hardness of many in the profession of faith inspired them. Renovationism, Sergianist loyal compromise with the godless authorities, the fascination with modernism and ecumenism – all these problems of church life-stage and received proper canonical evaluation by management of the ROCOR.ROCA returned to Russia canonical succession of episcopal authority in the Church. In fact, based on the apostolic decree that if the bishop had used the worldly power, seduced by power of the bishop in the Church, he ejaculated, as well as those who reported to him. Since these rules has not been canceled, even ignoring their MP, we can assume that at some time in Russia there was no canonical bishop, as exemplified by the bitter humor of the church that existed at the time: “The Apostle says:” Go to the Holy Spirit and to us ” and we now say: “Go on the KGB and for us.” The official Russian church hierarchy in his cooperation with authorities not only did not repent, but even failed to give him a proper canonical evaluation. Therefore, we can and now assume that canonical apostolic succession of her lost and broken. A scourge of the country and the Church is largely a consequence of uncorrected repentance of sin. – Lord, tell me what you think, brings the experience of the existence of a free Russian church hierarchy out of Russia in the common historical experience of the Russian Church? – Are at large, outside of their historic homeland enslaved, and taking advantage of this freedom, the ROCOR was for decades the church’s conscience, not tainted by any canonical violations. Orthodox people, who were under the yoke of atheism in Russia, believed that had fled from the Red Dragon in the desert heterodoxy, a woman clothed in light, have their Orthodox Church. She saves and prays for their spiritual chadah, in the throes of its born, to their eternal life in Christ. This was evidenced by many catacomb confessors who have lived up to the political changes in the last decade, in his copious bloodletting of the twentieth century. Therefore it is natural and what is hated and slandered the ROCOR was what only epithets called her bishops, and which only the labels are not hung up on her clean clothes, and with what just dirt not water her good name. 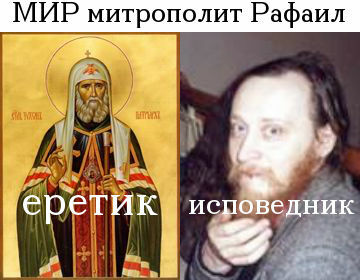 This is done by those who once changed his priestly duties, he went through compromise on issues is not only a political dialogue with the atheist government, but also in defiance of the dogmatic and canonical order of church life, replacing it with other alien to the Russian Orthodox tradition forms. Here, first of all, I mean destroying the Church and parish life practice of frequent movement of clergy from parish to parish, acting in a magnetic field to this day. This has contributed to the fact that the clergy developed a indifferent attitude to the problems of parochial life: why did something to create, if not today then tomorrow will translate? Pre-revolutionary Russian Orthodox church did not know of such abuse. More frequent in the synodal period were less likely to move bishops and superiors of individual monasteries, parish clergy is firmly seated in their parishes, handing them to their children. More than one generation of priests served in his parish church, and none of them called it his fiefdom. But these frequent movements are known to excite the parish life, contribute to the destruction of the parish cohesion and develop over time, indifference with respect to both doctrinal truth, and to earnest respect among members of the parish, where reigns no peace and harmony, and veiled hypocrisy, hypocrisy. – What is the most valuable from the experience of the ROCOR to the Russian Church today? – Fully idealize the life of the ROCOR, I think not. Undoubtedly, human weakness in her, or rather, her children were among the deficiencies that exposed and condemned, and corrected. They have always caused not only criticism but also a desire to correct them. They do not become the norm, as it was in the MP, but were rather the exception, for the Holy Apostle says that the Church’s life may be differences of opinion, that were skillful. The questions you raise say that St. Filaret, the famous confessor of our Church, once said that the ROCOR, with more than three hundred parishes do not like churches so-called “world Orthodoxy.” She is not loved, not because collecting information about the victims and the first new martyrs witnessed holiness and generous martyr of the last Russian tsar and his royal family, not because he exposed and condemned ecumenism and the church of modernism, and not because they printed a lot of spiritual literature. Even if all this she would not have been, and she did nothing to, it is silent, it would have continued to hate, because by his silent presence is castigated by their conscience. Therefore, even today hate MP and all those who it is in communion, congregations, communities and believers with the clergy, who did not want to share their common “joy” to those who destroyed the holy Orthodox Church, and to plant atheism, and now presents a more frightening and insidious spiritual surrogate – a new religion of Antichrist – ecumenism. The last most significant event in the ROCOR was Lesna Sobor, which adopted many useful for Russia, church ordinances that would impact positively on the life of the ROCOR in its scattering if they were implemented. Metropolitan Vitaly announced then that the agreement reached at the Cathedral of St. John is a miracle Maksimovic, but recollecting himself opponents of these decisions, and it is now known around the world the main initiator of ecclesiastical coup in ROCOR, did their best to manipulate, Metropolitan, to remove obstacles in the form of the Russian parishes ROCA to their rapprochement with the MP. One of those who were asked to perform the first steps made by the collapse of church unity at the Cathedral in the forest, was Bishop Eutyches (Kurochkin), who told the faithful and the clergy that he preferred the opinions and decrees of the bishops of living than the deceased and tortured by godless bishops. He implemented the first steps to uncoupling of church unity, and only then to the beaten track and joined sinodaly headed by Archbishop Laurus. Everything else, we can assume that this connection has been pre-planned. After signing the agreement on church unity with the MP reporters asked Metropolitan Laurus, how long he wanted this unity, and at what time he intended to do so. The question posed by Metropolitan Laurus said that the desire for this, he has appeared already in the 80’s of last century, ie during the life of St. Metropolitan Filaret. Hence, this group is planned church conspirators did everything possible to survive from the ROCOR, all her loyal and sincere children. – You were one of the first bishops of the ROCOR in Russia. What you saw a future of the Russian Church then, 20 years ago? Do all turned out as hoped? I have until the end of my days I will never forget, as the venerable Synod of Metropolitans requested from me a written renunciation of the religious city of Suzdal, even promised me a “career” when I run it “holy obedience”, pointing to the example of Archbishop Vladimir (Kotlyarov) – they say, and it was hard to write a renunciation of the Krasnodar flock. But he carried out showed him obedience, and now it is waiting for an appropriate remuneration and career growth. I remember the scales fell from my eyes: in this organization must constantly perform a betrayal! With career increases the degree of betrayal. How to Metropolitan Sergius: first, the “Declaration”, then – a direct slander of Martyrs, and then open the temples and monasteries, and then autograph their closure. This is supposedly done at the request of the faithful who wished to pozakryvat their temples and monasteries. From me is no longer required a simple voluntary move to another parish or diocese to which I in principle and was willing, but the written renunciation of his flock. These people I still had to please the MP who called them “okolotserkovnoy informal grouping, slander, giving them a description as” hooliganism. ” I refused to do so, on what and heard: “my dear sir, what kind of mind you we are talking about? You ordered you to perform”. But to fulfill the commandment of the “holy obedience” to which the bishops are fond of saying MPs – they say that it is higher fasting and prayer – I could not. We left open, not hiding, not hiding, the believers and said: “We’re leaving in the Church Abroad.” And them came the reply: “Come on all four sides, who do you want it!” But when we left, we were “the worst and worthless.” And I asked myself: “If I’m such a useless, why do you hang my medals, for what you handed me your blessings letters?” This situation helped me to reassess those spiritual values which I lived while in MP, believing that working for the good of Mother Church. In the Synod RPZTS first asked the faithful parishioners, then the clergy. We were all taken through repentance Sergianism and ecumenism, the video treatment and the rank of repentance of believers were sent to the Synod. At the Annunciation in 1990 for the first time during the liturgy to proclaim the name of the Primate of the Church Abroad, Metropolitan Vitaly. I must say, the congregation at that time there were many people who remember or who were living memories of the pre-revolutionary Church. Then we began to visit many of the catacomb Christians, among whom were those who could talk about persecution, about the present historical Sergianism and the preservation of the holy Orthodox faith. It was a live communication between people, those who lived a life of persecution, with those by whom they were persecuted. After all, why the current government waited almost twenty years to expel us from the temples? Probably waiting to become extinct over the years by those who could stand fully behind through suffering of the Holy Orthodox Church. As in the thirties, in Khrushchev’s 60’s, and still act “to justice and fairness,” and then requires that seventy years later was followed by some kind of rehabilitation. Why did not stand a posthumous condemnation of those who then “stood guard over the constitutional rights and their vessels rot hundreds of thousands of people in prisons and camps, children deprived of maternal and paternal care, dooming them to stray orphan’s life, he himself had enjoyed the perks and benefits? Yet none of them made any verdict, but tens and hundreds of thousands of people received a paper certificate of rehabilitation of the unjustly slain relatives. All the more surprising for me was that after two or three years Metropolitan has to act differently. To my surprise Anastasia G. Shatilova (the former long-term employee of the Office of the Synod of ROCOR) responded that often the first solutions Bishop Vitaly are correct, but when there is opposition, the Metropolitan she concedes, but to the casual observer of his actions seem strange. I still can not simply that it was with my blessing protopresviter Vladimir Shishkov rescued from the Synod of Metropolitan Vitaly captivity in 2001. And now, that whatever is said about me, would have recognized me or not, I am satisfied that I had at that time to be close to Metropolitan Vitaly. Neither the Archbishop Lazarus, nor Bishop Benjamin, one of today’s clergy jurisdictions, linking themselves to his name, did not go to the ill-fated for the ROCOR Cathedral. I personally had to appear in America in the circumvention of the rules. I had to go to Germany, then to Geneva, then to Colorado, and only then, almost no matter chaise having passed through much of America, to come into the house to his father, Vladimir Shishkov. Where they were drafted, the canonical re-establishment of the ROCOR. It is a pity that many drafts were never implemented. The Metropolitan Vitaly was the reason for allowing to excuse him – he was already over 90. And he had a strong shock from the realization that all whom he considered his supporters and faithful children of the ROCOR, betrayed him and all the historical mission of the ROCOR. In one of the revelations seen martyred brother Joseph Munoz, custodian myrrh-streaming icon of the Iberian Mother of God, was caught from what he saw – the crucified and outraged at the cross, Metropolitan Vitaly. – Today, 90 years – is history, many unknown. What did you feel then, 20 years ago? – Of course, early 90’s was a time of interesting and exciting. People, languishing atheism, snapped taking any religious literature. We in the church boxes, as a missionary campaign, handing out free gospel, and other literature. We still do that. In any case, the constants of our parishioners can get this or that religious literature. For example, I appealed to parish leaflets, published at the Church of St. John the Baptist in Washington. Today, we are possibly also print ballots and deliver them to our pilgrims. I have always liked open parish life at some temples ROCA. In Russia, parishioners often needed only for the quantity and the tithes, and they must execute only orders, and their wishes are completely ignored. Of course, I wanted to recreate among the people of God is what these people lived before the revolution. But in pre-revolutionary glorious past was not all smooth. We should not forget that we all live in a world tempted by Satan, and that we all face a choice. In Scripture, the Lord said: “Life and death I tell you, blessing and curse – Choose life.” If so it would be simple and easy, we would not have been so much maligned, tortured, executed. Suffice it to recall the life of St. John Chrysostom. After his exile, and many mourning the untimely death from exhaustion, it is not the machinations, some barbarian pagans, and targeted action is decent Christian believers. Among which not only pious empress Eudoxia, but representatives of both higher and lower clergy as laymen, and those who supported the persecution of the great saint for the sake of those in power. Name gonitelnitsy Empress Eudoxia is mentioned in the stories, but the names of most high-ranking persecutors are already covered with the darkness of oblivion. – And 20 years after the life of your congregation in Suzdal has changed? – We see that, despite all technological progress, the story is constantly repeated, and humanity comes to the same rake, which fully and with the same force they beat him on the brain. Therefore, what we’ve got a good – it’s the grace of God, and that there was not manifest on our part that blessed determination, referred to by St. Seraphim to answer the question of their contemporaries as to why none of them is a manifestation of the grace of God, which is painted in many spiritual books. At a Seraphim, and answered: because there is no commitment when would be the determination, there would be plenty of God’s grace. Soviet authorities for his 70 years has brought more than one generation of people with rider inclinations and needs, and therefore all develop the concept that someone must do something to him just like that, nothing. Less work – more benefits. Everyone who could work hard and show determination, having a sense of faith, conscience, honesty and responsibility, all of which were destroyed physically. We – the descendants of those who managed to survive, more or less adapted to the conditions that we had in the country. Today is no longer the cry: “stand up for the house of the Blessed Virgin!” In our situation more effectively patristic instruction “is not encroached his feeble hand to stop the apostasy, but Explore the zeitgeist and to remove himself and, if possible, help to do his neighbors.” Which implies that while a man’s heart shall find no need for inner spiritual renewal, no external demonstration results will never show themselves. World increasingly becomes hardened, and, despite the open churches, all sorts of religious radio and television channels of different faiths, mostly Orthodox Christians, the moral climate has not improved. The Company is not just terrorism criminals, but itself becomes a criminal, where together as a team and ‘brother’, and their spiritual “Batko”. – Today, part of the ROCA has joined MPs, and is divided into several independent and often do not recognize each other Synods. How do you assess this situation? Are there any of it any way out? – We have before us the sad reality of what happened, in fulfillment of the prophecy of Revelation of St.. St. John the Divine, that given the power of the dragon war with the saints and to conquer them. Apparently, what happened the union of the ROCOR (L) and ROC popuscheno God … At the historic space with bright light shone Carthage Church, and where is she now? Was the Persian Church. What is it today? Left concourse of the martyrs in the church mesyatseslove. A Church of Caucasian Albania, Mesopotamia and other places – only part of the glorious history of the past centuries. With what joyous awe and enthusiasm, languishing in the soulless space, people were expecting the return of Exile Church to their homeland! Come as those who can already be considered today by agents of atheists, who carried out their instructions, sowing dissension between the Russian bishops, clergy and faithful. It is a pity that many people believed them and went on about those who subsequently led to the signing of the ROCOR unfortunate act of reunification. Desired unity of the Orthodox, as is evident from the subsequent years, the signing did not happen, and specific results of this unity, and is not visible, except photographs of overseas bishops in the church calendar MP. It and can not be, because “the addition of some of the Church with idols? It is a pity that befell the misfortune to unite those who have not followed hazarded spiritual mission RPZTS. All this you can find their own reasons. But the most important of them – lack of love for truth and the presence of jealousy is not on reason, jealousy, blinding, and awakens a devastating fury, drew his thrill of learning who believed that only he and no one else can carry the light of Orthodoxy. Ultimately, most of these zealots back to those who gave birth to their MP. It is on one side. On the other hand, all we do have unity at least in the fact that we separated from consuming heresy, going further behind her in various degrees of spiritual beauty, which result-destruction of the soul. According Optina elders, the ship of the Russian Church in the sea everyday crashed, but also dispersed in this worldly sea, its chips are saved. To recreate this ship does not need fat wallets with large sums of money, not about other people’s exploits mnogoglagolanie and holiness, and the acquisition of these exploits, and this holiness, through the acquisition of the love which is “Saux perfection.” Scripture says that from an excess of feeling the mouth speaks. When you read or hear what the mouth speaks the Orthodox, then another and wonder how our Lord is slow to anger, and plenteous. How many people spend hours in these “pious” sparring that sometimes it seems that they have forgotten that once said Ven. Arseny Great. When he was an influential courtier at Constantinople, he had a lot of talk about the many, and often it is on this regret, but one thing he was not sorry when his lips were silent. If the time it takes to rest on the Internet, was spent in prayer for the reconstruction of broken storm the ship of the Russian Orthodox Church! So today our unity in our division. One of the holy fathers said: better separation of pious than profane unity. – Can we say that RPZTS already played a role in the story or her story is still going on? – I always feel kind of embarrassed by the question “What role did”. Although it is often a phrase common. But with him personally I disagree. The Church can not play a role, because she did not litsedeyka, not an actress who has a major role, successful, and there are secondary. Every game still involves some kind of artificially veiled insincerity. Church – philoprogenitive mother, and her concern for their chadah sincere, not simulated. She – the pillar and ground of the truth, what is there may be a game? That MP could play a role name – just scroll through all the filings of its official publication of the JMP and marvel at its great art great game. Who just not played it, just not attracted to someone who just may oblige, but not the Lord, not only for the salvation of souls are in its enclosure. Now the scope of its activities has expanded significantly: it is enough to view TV “Soyuz” and “Christ.” You look and you rejoice in what we blissful and peaceful country living, and most importantly, what we have comprehensive regeneration. And there is no place here Kushchevskaya village, some sort of ethnic conflicts. Just like in the old old times – peace and quiet. Earthquakes then passed “with little damage”, the aircraft broke up and the train went off the rails “without any casualties, let alone natural disasters in general and was not. So I do not agree that the ROCA “played a role,” I think she lived in holiness and purity, preserving the canonical allegiance to their heavenly Bridegroom Christ, dignity and righteousness. Those of the parishes, who went on to union with the MP, probably also will continue to live, but with new concepts and new joys of those who seduced them to join a community of dubious unity. Time will tell. I personally do not see the fruits worthy of that alliance and especially not show any visible results. Yes, and society as a whole is little that has brought, but the believers ROAC were not bypassed attention – both IP and power structures. We have been deprived of churches, the glory of God, even though the wall had not yet set, but, apparently, and these times will come. After all, Christ’s words, “whosoever piously zhiti longing, driven by the will,” has not been canceled.